This delightfully cooling salad is perfect for those days when you dream of laying in a hamock under a palm tree. Avocado meets cilantro meets mango....our idea of paradise! This salad is a breeze to whip up and the dressing is delicious straight from the jar! 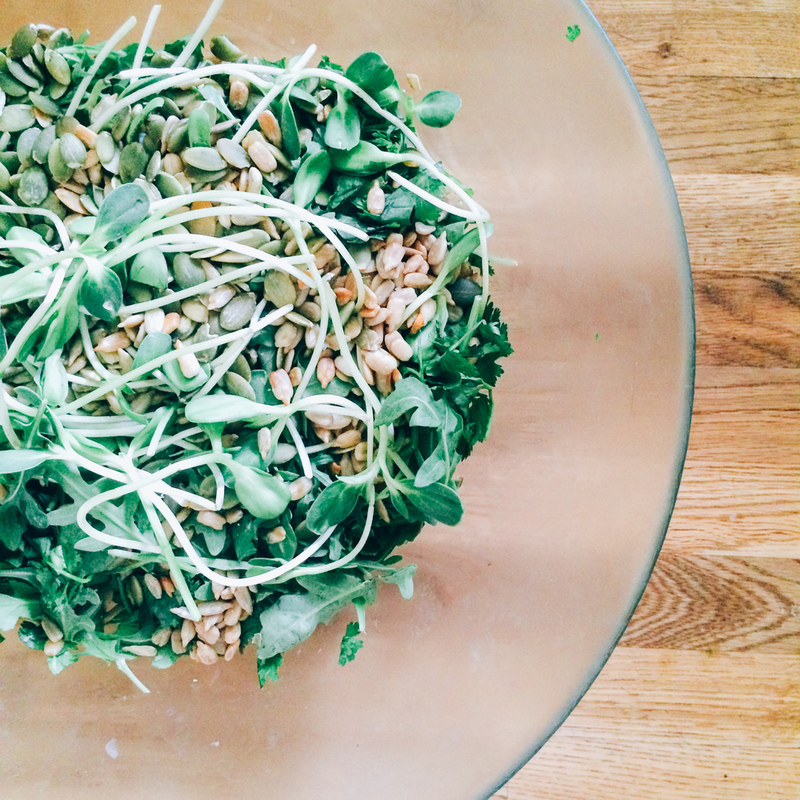 By adding sprouted grains and seeds, your body receives a wonderful dose of naturally occurring fiber. Meanwhile, the avocado brings in the healthy fats that studies show, may bring down your LDL levels (a.k.a. your bad cholesterol) and help you assimilate your essential fat soluble vitamins and minerals. Oh and did we mention this salad is ridiculously delicious?! We hope you enjoy this one, beautiful! Combine all ingredients for the dressing in a food processor or blender and bring to a smooth, even consistency. Transfer the cooked and cooled grain in to a large bowl and mix all other ingredients in. If you plan to save the salad, only dress the portion you will consume immediately.